There are many questions which keep me awake at night: I wonder when The Mentalist will be returning to TV? Who IS Red John? And honestly, HOW can you post a link to Twitter without that those pesky -5grey characters appearing, reminding you that you’ve exceeded their 140 character or less word limit?! WELL. While the former is still keeping me well and truly tossing and turning (tell me, channel nine, TELL ME! ), I’ve since discovered how to conquer the latter, and a few other clever wee blogging tricks of the trade, too! Corrine: 1. Grey Characters: 0. It’s free! It’s clever! It’ll turn that super long http://ghgfccccfgghhlljjjhjjfsfgghfdfahjajhagahh.com/ahah website address into one that is 26 characters or less! If you’re using Twitter and want to share a link but are perennially batlling with their 140 character or less word limit, this is very pleasing news indeed. With the abundance of polaroid-style photos floating around on the internet, you could be forgiven for temporarily wondering how the heck everyone had suddenly acquired such a camera: “was there some kind of sale? Were they just magically handing them out the street?! HOW? !” But you see, you don’t have to own one to be able to create these yourself: you can just download Poladroid and turn any image into a dreamy, polaroid-like photo, instead! Fact: 98% of the images used on Frock & Roll originate from We Heart It. This is fantastic because there are new, beautiful photos added to the website every second, but not-so fantastic because it can be incredibly difficult to credit the original source of an image. It’s also guilty of thieving criminal lengths of my time. But hey – these are relationship quirks that I can absolutely learn to roll with in the pursuit of beautiful imagery! Sometimes I’ll find an image that’s too large. Other times I’ll stumble across one that’s not small enough. Then, before it all gets too stressful and I start cursing about having the computer skills of a cat, I’ll simply upload one of them onto Flickr, and bask in the magnificence that is their “all sizes” option, feeling significantly smarter for knowing that a cat could DEFINITELY not have mastered such a move. Flickr! Poladroid! Picnik! Have you tried any of these services before, and do you have any clever blogging tools of the trade to share? x Become a fan of Frock & Roll on Facebook! Picasa (the program not the web albums) is a great free tool to make collages, gifs, even slideshows with your pictures. It’s also good for a quick retouch and colour balance adjustment with it’s ‘I’m feeling lucky’ button. Another tool I like for pictures is Adobe Lightroom, it has loads of nice presets to give your pics cool effects and it also optimizes your pics for the web. Those are the three that come off the top of my head. 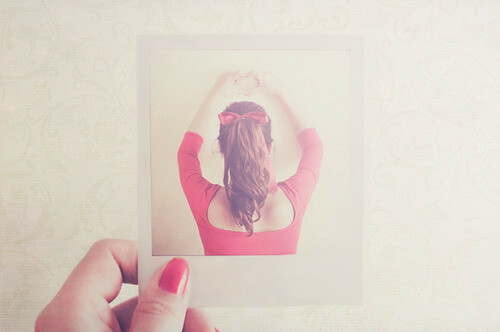 Weheartit s my new favourite web time waster, I can spend hours looking for pictures there. Great tips! I will definitely be downloading Polaroid. Thanks for the tips – the Poladroid one looks so neat! And I LOVE Flickr! I love Picnik! I have GIMP (like Photoshop) but it’s such a hassle, I’d rather use Picnik. I didn’t know it has a collage function! I’m so using that for a post at some point! Flickr is also a really good source for photographs. I’ll check out WeHeartIt. I’m not a fan of tiny urls – you have no indication what the post’s subject is. So then you have to write something to tell people. I’ve just gotten into we heart it after having been an avid tumblr..woah what a great procrastination tool! Will look out for this picnik one though, sounds great! I use most of what you mentioned! Tinyurl is genius! I use it all the time. & we heart it is my little bubble of inspiration. So many amazing things get uploaded there! I always wondered about Picnik — I think I’m going to give it a try, since Photoshop stresses me out sometimes. I love it, but it can just be so fickle & complicated. BTW, Corrine, you’re so smart, I would probably feel nervous in your presence. Your posts have been on fire lately, girl! Yes, yes, yes! All of these are my most favorite tools. I’m SO happy you mentioned Poladroid because i once had it downloaded on my old computer, lost it, and couldn’t ever remember the name! Thank you so much! Picnik sounds very interesting as well! I’ll give it a try. Thanks for the great links, Corrine. I didn’t know about picknik, thank you so much! I’ve been using tinyurl for Twitter for two years and I’m getting disturbed by how noticably longer the urls are getting! Lol, have you noticed that, too? I can spend hours pouring over the pictures on weheartit! and I’d never heard of picnik before so thanks for that recommendation!